Ha! I wrote this post in January and I'm now getting ready to finally post it....in late February. How can I be so busy?? My husband says I need to put "no" in my vocabulary more often. Ha! So here's to catching up!! We started with a concertina card---I believe I had some posts about those about a year and a half ago--they really make special cards, but take awhile to create! 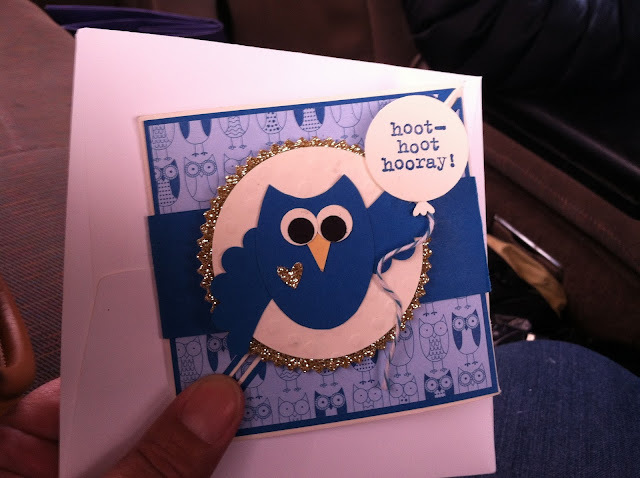 This is the card open. 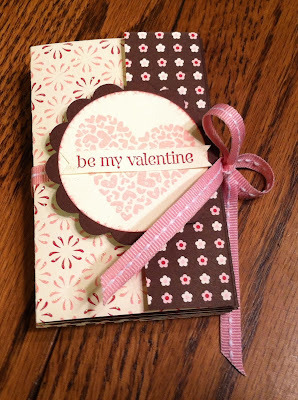 Go back to this post to get my links to a tutorial and site where you can put in your dimensions and make your own "box envelope" for this card. Our second project was a fancy fold called a 6 fold card. I got the tutorial for it here from Dawn Griffith. The card I made was for my granddaughter's 3rd birthday. 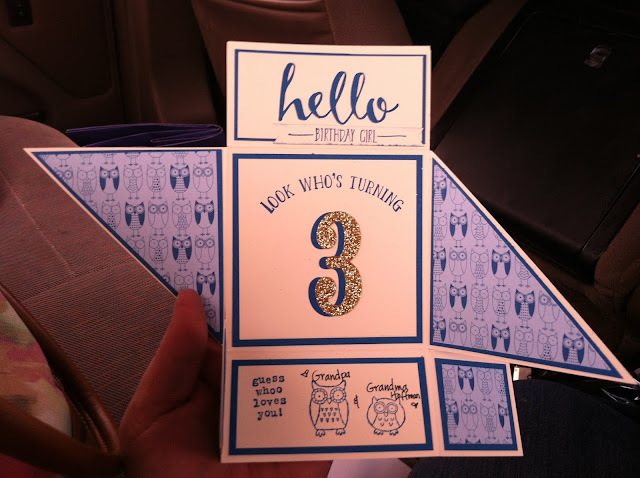 I used a lot of retired paper and the stamp set with the owls--but also used the set "Number of Years" from the Occasions catalog with it's matching framelits. There was actually a 3rd project--a triangle box, but most people didn't get to it since the 2 cards were a bit time consuming! I'll post the box and direction link next time! The cake was yummy --and Old Fashioned Oatmeal Cake---so moist and tasty--even though I messed up the frosting, leaving out the evaporated milk and vanilla. Here's a link to the recipe I used if you want to try it!